Today, we begin introducing you to a series of powerful B2B solutions by Ecomwise. All extensions developed by the company are designed to turn Magento into a robust B2B platform that copes with modern ecommerce requirements. The first tool we’d like to draw your attention to is the Ecomwise Credit Limit Magento 2 extension. It is necessary to highlight two core features in the overall functionality of the module. As it comes from the extension’s name, the tool provides the ability to set a customer credit limit. Thus, you can avoid many headaches related to unstable clients. Another important feature is related to a new payment method. The Ecomwise Credit Limit Magento 2 extension adds “Pay on Account”, so accepting credit orders becomes possible. As a result, your B2B partners can use credit to place an order only if the limit is not exceeded. 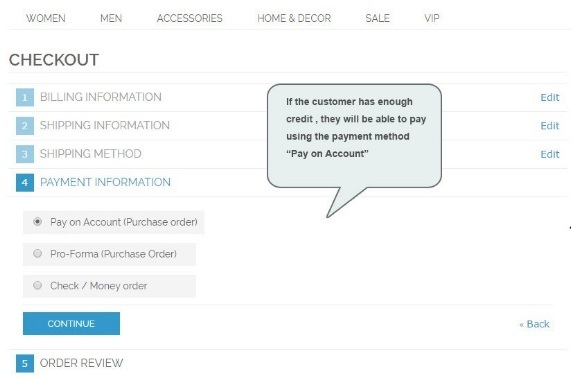 Otherwise, it is impossible to use the “Pay on Account” payment method. What are other features available with the Ecomwise Credit Limit Magento 2 extension? 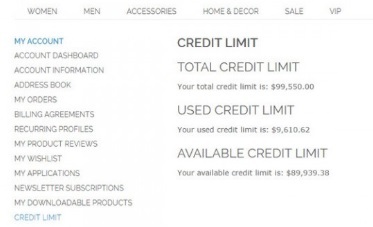 As a store administrator or owner, you can view credit limit of every customer. It means that both used and remaining limits are displayed. 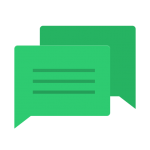 Another great feature is related to customer groups. Perhaps, you are also working in a B2C segment where credits are not necessary or don’t want to provide credits to unregistered customers. 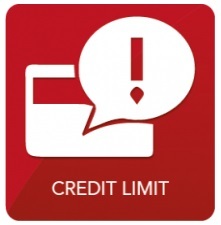 Ecomwise Credit Limit lets you restrict the usage of the new payment method to these groups. Simply choose customer groups to provide them with the “Pay on Account” opportunity. There is also an option that allows you to select a particular order status that will be taken into account for open orders. Besides, the extension informs customers if a credit limit is exceeded. It shows a message that notifies buyers about that problem. Alternatively, your clients can view the state of their credit limit in a customer account. Both used and remaining limits are shown there. And if you create an order from the backend, the Credit Limit functionality is still available, so your admins can fully leverage the extension. Note that the limit cannot be deleted in case it is used for open orders. Furthermore, it cannot be updated to a value that is less than a total amount of opened orders. All these features look great and the overall functionality of Ecomwise Credit Limit seems to be very useful. 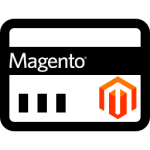 As for the price, Magento 1 solution can be purchased for only €99. Ecomwise Credit Limit For Magento 2 is still in development, but you can already view the extension’s page.